The most popular vacation planning and booking websites will have to respond to increased web traffic during the summer travel booking period. We have selected twelve popular travel websites from US, Europe and Australia that rank at the highest search engine positions. We will monitor these sites continuously from May 17 through June 30, 2010 and measure the performance levels and the availability of these websites independently and from various remote worldwide monitoring locations to best reflect the End Users' experience. 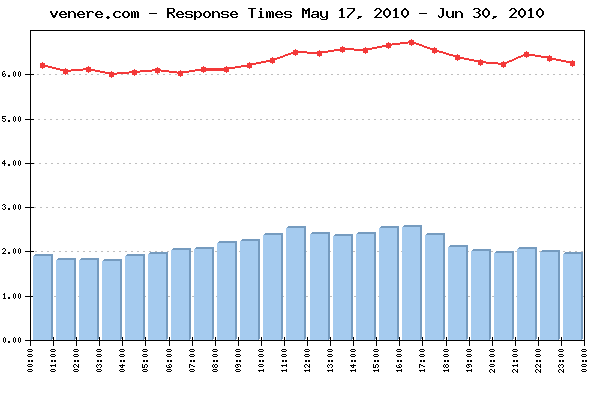 Continuous monitoring for all websites covers the period May 17 through June 30, 2010. The reports and charts are updated daily showing the results from the previous day and for the entire monitoring period to the current date. 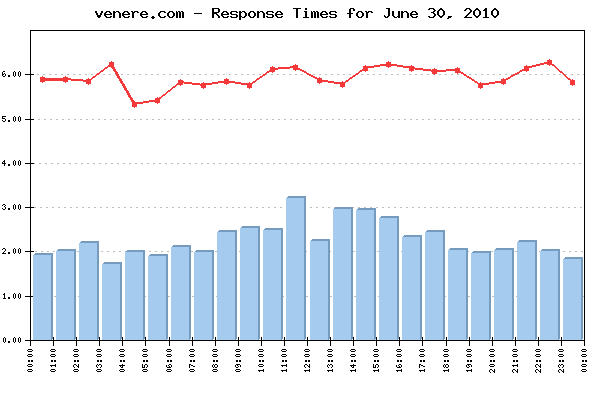 The daily Average Response time from all monitored websites was 5.929 sec. The Average Response time as measured from the US East Coast (Washington, DC) was: 3.757 sec. The Average Response time as measured from the US West Coast (San Francisco, CA) was: 4.818 sec. The Average Response time as measured from Australia (Sydney) was: 8.633 sec. The Average Response time as measured from Europe (Amsterdam) was: 6.507 sec. The Best Response time measured from US East Coast: 1.525 sec. The Best Response time measured from US West Coast: 1.884 sec. The Best Response time measured from Australia: 2.656 sec. The Best Response time measured from Europe: 1.563 sec. The typical shopping transaction took the least time for venere.com visitors - 2.260 sec., while the visitors of orbitz.com had to be the most patient, as the shopping transaction there took in average of 11.836 sec. 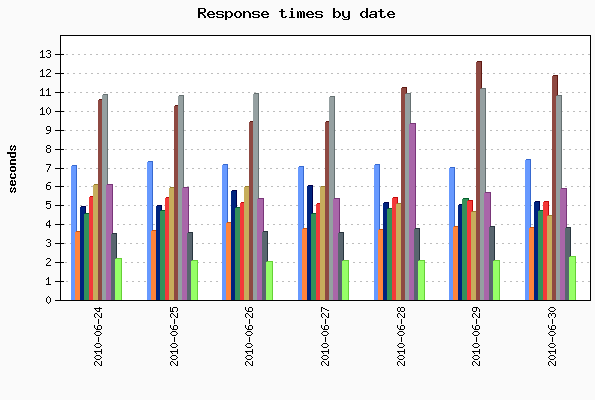 Three of the monitored websites delivered above-the-average response times for their transactions, while eight of them demonstrated below-the-average daily performance. The daily average uptime for the entire Group was 99.37%. Eight websites' availability was above the average, while three sites dragged the average down with below-the-average availability. No events of particular importance or possible negative impact on the online visitors' interaction with the Websites included into the 2010 Vacation Planning report were detected during the reported period, and according to WebSitePulse, the Group delivered the expected levels of End-User experience and Customer satisfaction.